The President of the Republic of Madagascar Hery Rajaonarimampianina officially signed on Monday its commitment to implement the new national strategy against corruption recently adopted and committed by the same throughout the country in a new impetus to combat this phenomenon. By 2025, Madagascar arose as a challenge to become a state of law where economic, social and environmental development is free from corruption. “We are aiming for a Corruption Perceptions Index 63/100 by 2025” says Jean Louis Andriamifidy, CEO of the Independent Anti-Corruption Bureau during the presentation of the key elements of the new strategy against corruption in Madagascar this Monday. This would involve a significant improvement compared to 28/100 score recorded by the countries in the 2014 Index of Transparency International. “By June 2016, with the establishment of all the structures provided for in the new strategy, we hope to improve already 5 points note Madagascar compared to 2014,” he said in his presentation. 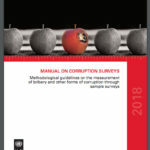 Developed with technical and financial support of UNDP and under the guidance of a steering committee composed of the Minister of Justice, the President of the Superior Council of Integrity (CSI) and the General Director of BIANCO, and a Technical Committee composed of technicians from the Ministry of Justice, CSI, and BIANCO, the new national strategy against corruption put on three strategic objectives: strengthening the rule of law so as to have a state capable of meeting the aspirations of the citizens of Justice, creation of conditions for the emergence of economic development, and promoting the emergence of a strong national leadership expressing the political will. Particular attention will be given to areas of justice, security, public service, public finance, natural resources, decentralization, education and the private sector to implement the strategy and its 38 lines of activities. Ending impunity was the main topic at the 16thInternational Anti-Corruption Conference that took place this month in Malaysia. Most topics discussed at the conference resonated well with the proposed Sustainable Development Goal 16 on building peaceful, just and inclusive societies. Goal 16 is a victory for the anti-corruption movement as for the first time, the development agenda makes an explicit link between good governance and fighting corruption and peace, justice and inclusive development. This does not come as a surprise. 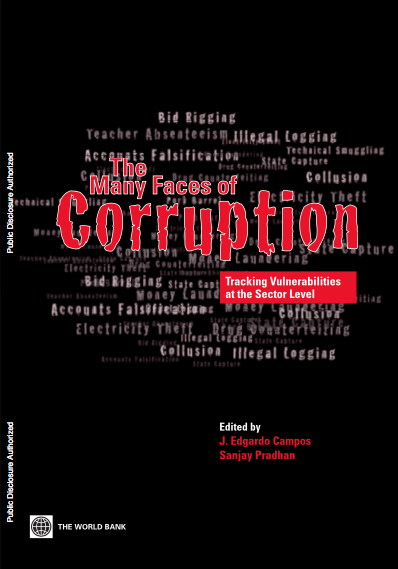 There is now empirical evidence that once a critical threshold is reached, increasing levels of corruption result in increased levels of violence, impunity and insecurity. There can thus be no sustainable peace in a society plagued by endemic corruption and impunity. There can also be no sustainable peace when those who hold power, be it political, economic or criminal, can purchase their impunity. And there can be no peace, nor justice when large groups of people are discriminated against because they are unable to overcome the many illegal hurdles that prevent them from enjoying their rights. 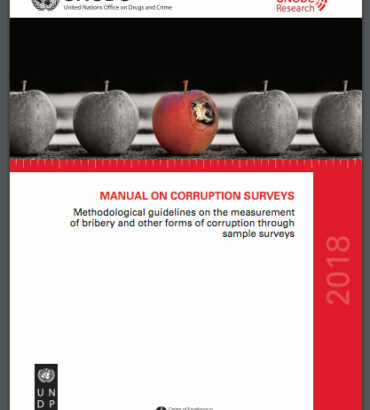 Breaking the culture of corruption and impunity requires a comprehensive governance approach that involves, among other things, efforts to strengthen the rule of law, ensuring equal access to justice and public access to information. It calls for the development of effective, accountable and transparent institutions at all levels. Because of the impact of corruption on the poor, at UNDP we focus much of our work on analyzing corruption risks in key social sectors: education, health and water and sanitation, and soon also in the security sector. 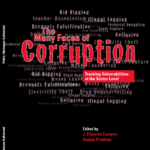 But the nature of corruption has changed to become far more complex and engrained in obscure and increasingly global networks. Where the capacity of national integrity institutions is totally overstretched in the face of endemic corruption and impunity, new forms of international cooperation are needed to restore the legitimacy of sovereign institutions. The “International Commission against Impunity”, established in Guatemala in 2006 to help national institutions tackle the deeply ingrained corruption and related impunity, is one example of the international assistance needed to restore trust in the functioning of national integrity institutions. With more sophisticated problems comes the question of resources to tackle them. At the International Conference on Financing for Development in July, member states adopted the Addis Ababa Action Agenda (AAAA) which provides a financing framework to support the implementation of the 2030 Agenda for Sustainable Development. The measures proposed emphasize the need to consider all sources of finance, public and private, domestic and international to complement each other. The Action Agenda also puts more emphasis on building capacities for domestic resource mobilization. That is why UNDP and the OECD launched the Tax Inspectors without Borders initiative, to provide tax management support to countries facing particular development challenges – least developed countries, Small Island Developing States and states struggling from severe dimensions of fragility. Improved mobilization of domestic resources will not be possible without curbing the various forms of corruption and money laundering that severely reduce the taxable resource base. If the world community expects developing countries to take more responsibility for financing their sustainable development agenda, then support for strengthening their national integrity institutions will need to be increased, not reduced. It also means that impunity for crimes of corruption can no longer be tolerated, anytime, anywhere.